Suctioning is very important and there are a few reasons the nurse has to suction when assisting the Dentist. Firstly the suction is used to retract the check away from the tooth, leaving the dentist free to commence the procedure. The nurse also can suction to protect the tongue when the dentist is either doing a filling or surgery. 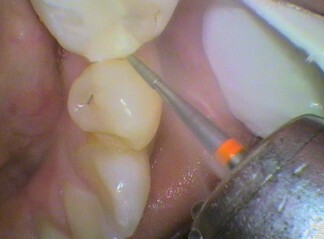 An obvious reason also is to stop the patient swallowing the water that is used to cool the hand piece whilst drilling. The suction helps to stop materials from being swallowed by the patient. Suctioning also is important to keep the tooth dry whilst the dentist is doing a filling. Saliva can interfere with a filling setting, so it vital that the area stays dry. Charting on the computer is usually done either when a patient comes in for a full check up or when something new is found and needs to be done. The dentist will call out firstly what the patient already has had done in their mouth and the nurse will record it. Then any work that has to be done is charted and a treatment plan is printed and given for the patient, as well as having it in our computer for our own records.